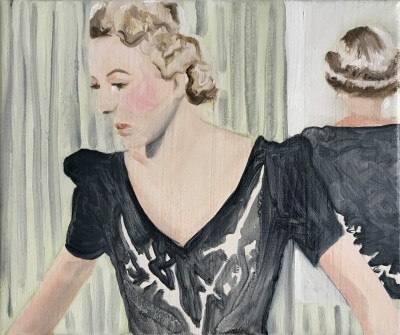 Cathy Lomax’s work is a contemporary and personal exploration of popular culture, beauty, celebrity and identity. Her projects have included an ongoing Film Diary, ‘Mock Tudor’ inspired by the art of Hans Holbein, and American Tan, which explores Hollywood glamour. In 2016, Lomax won the inaugural Contemporary British Painting Prize. The competition was organised by Contemporary British Painting in order to celebrate and share the many important and exciting contemporary painters working in Britain today. This exhibition showcases recent and paintings and three dimensional work concerned with reflection, the gaze and female identity.